Since 1974, Ole Hickory Pits has been in the business of manufacturing high-quality BBQ pits. 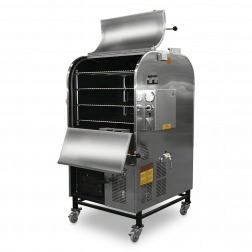 Ole Hickory Pits set themselves apart from many barbecue companies by adding their own efficient temperature control system, which ensures you get great BBQ results with every cook. 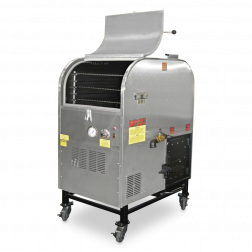 A Ole Hickory Pits BBQ smoker is a great BBQ smoker for BBQ enthusiasts that want to produce real old-fashioned BBQ. 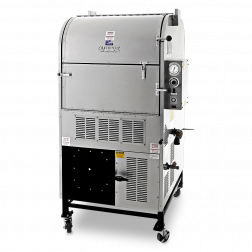 Whether if it’s for competition, backyard or catering use, you can count on a Ole Hickory Pit BBQ smoker to deliver results like no other. Big Poppa Smokers and Ole Hickory pits have teamed up to design the ultimate charcoal smoker, the Ace-BP! 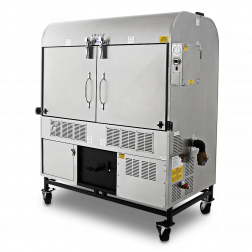 Featuring a unique thermostat controlled cooking method, the Ace-BP will be an indispensible smoker for vets and newcomers. Get yours before anyone else and you'll be the talk of town. Featuring a 40 sq. 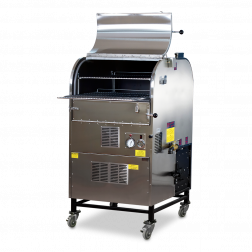 ft. cooking capacity, innovative smoking technology, and the ability to smoke with both gas and charcoal; This is the smoker for serious barbecue enthusiast. Gas or charcoal/wood? No need to choose. With this multi-use smoker, you get the best of both worlds. Cook with the ease of gas while still getting that authentic smoky flavor or leave the charcoal/wood out all together; Ole Hickory Pits has created one of the best multi-use smokers out on the market. The easiest charcoal smoker you'll ever use is here, The ACE MM. Almost effortlessly smoke up juicy and tender meats, so easy it's like you're cheating. With the Ace JW Charcoal Smoker, smoking has never been easier. Get the BBQ results you deserve; Whether if you're a beginner BBQ cook, a backyard BBQ cook or a BBQ competitor, the Ace JW will deliver the results you've long been searching for.